I’m not going to pile on with another discussion on why the Winter Olympics is not as good as its summer counterpart. I also won’t get into the evils of short, unbalanced elimination brackets. (So the US and Canada both lose only 1 game, each to the other, but Canada gets the gold? Sounds like tie-breaker territory to me.) And I’m surprisingly not going to say the Olympics are lame because I hold a lot of respect for the athletes and national pride involved. But I would like to take a step back and talk about the problems with the games today. 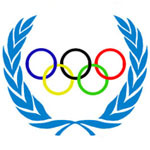 The Olympics should not include team sports. The Olympics are not as originally intended. This is partially a good thing since I am not clamoring for naked oiled men to compete in contact sports. But I believe the spirit of the events was to showcase feats of strength and skill and to show what humans were capable of. Small, short contests between individuals is what I want to see. Team sports in large scale playoffs that encompass the duration of the entire Olympic Games just to be rewarded with a single medal at the end are clearly not the intent. Not only do the large teams not train together for extended periods of time but having a hodge podge group of athletes takes away from the simplicity and gladiator-centric wonder of the original events. The events should be streamlined. On one hand you have baseball teams that play many games to get a single medal (or you don’t anymore since the sport is no longer included)- but the flipside to this problem is that a swimmer can pick up 20 medals in the same span of time. Sure, you need races of different lengths, but at some point you need to realize that nobody needs to see 50m, 100m, 200m, and 400m versions of the same thing. Every contest should be simple. Remember, the point is to see humans perform feats of strength. It is not inspiring to see a team of curlers defeat their opponents 6-3. The ‘sport’ is too specific- its ruleset is not immediately understood. Being a good sprinter or swimmer has broad applications and appeal but being an expert curler is pretty much useless. Once more than one person and one prop is involved, the event becomes a contest of arbitrary game mechanics. Judged events have no place in the Olympics. This is perhaps my biggest gripe of all. Contests only hold weight when there is a clear winner. Who is the fastest? Who is the strongest? Somebody jumping off a diving board and pulling a flip exactly how the judges desire does not belong here. Figure Skating Dancing is not an event that countries need to bother competing in. With so many athletes sacrificing a large portion of their young lives for competition, it doesn’t seem right to allow subjectivity to enter the equation.